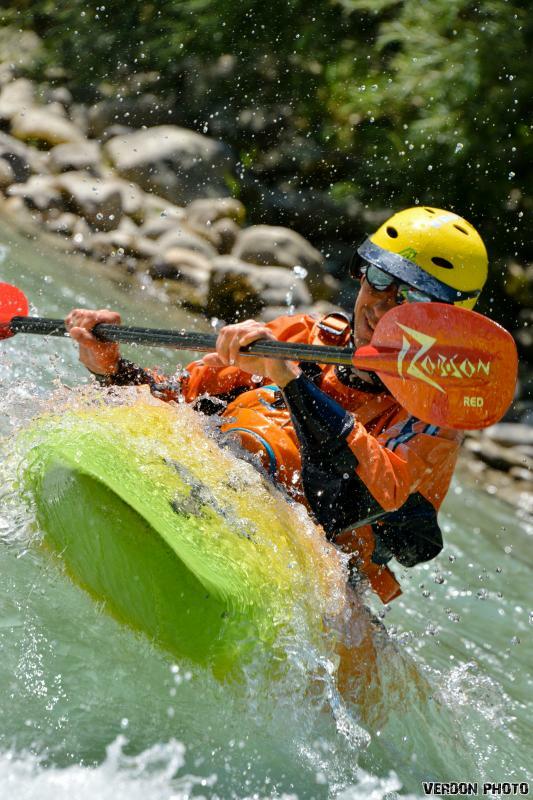 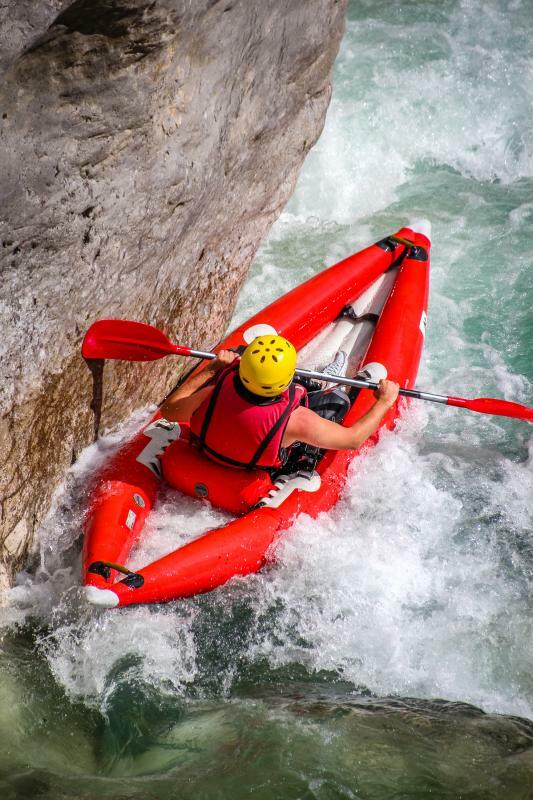 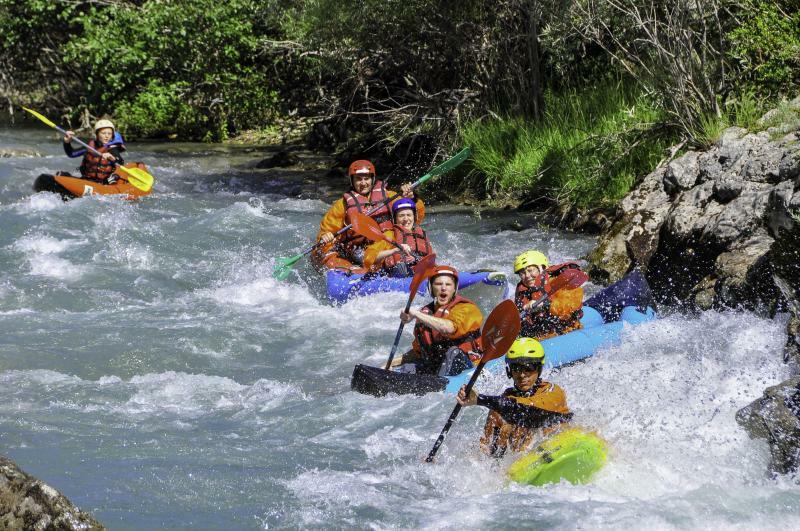 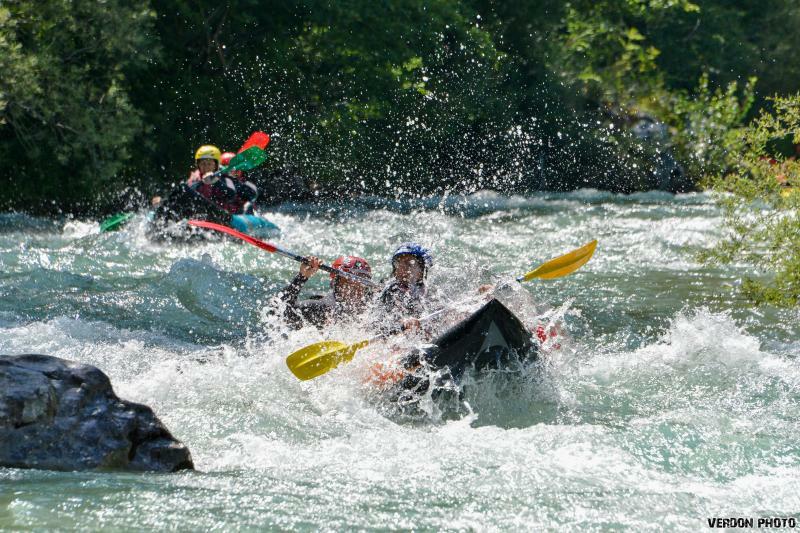 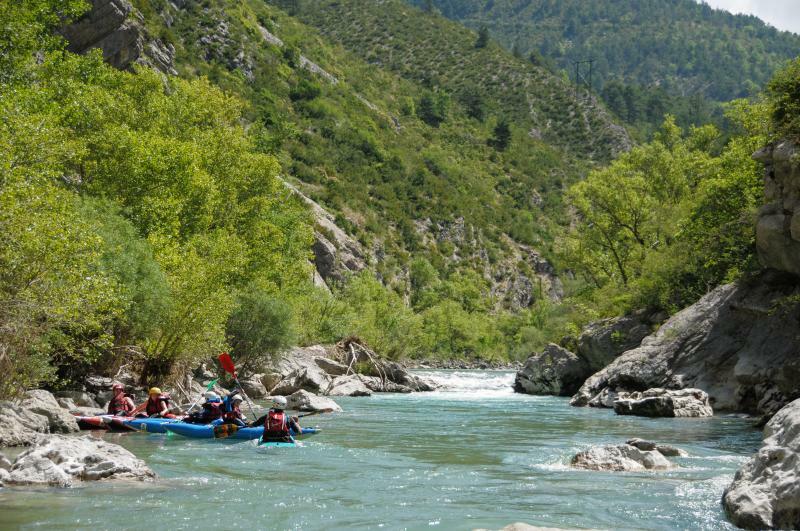 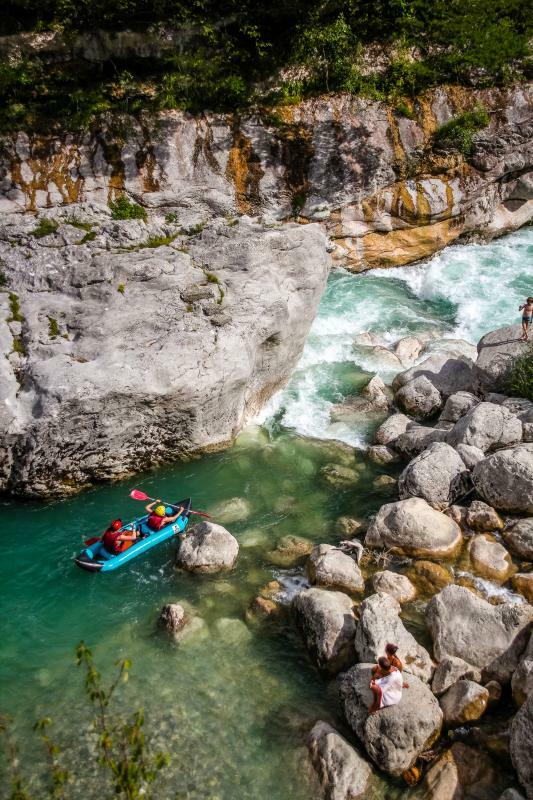 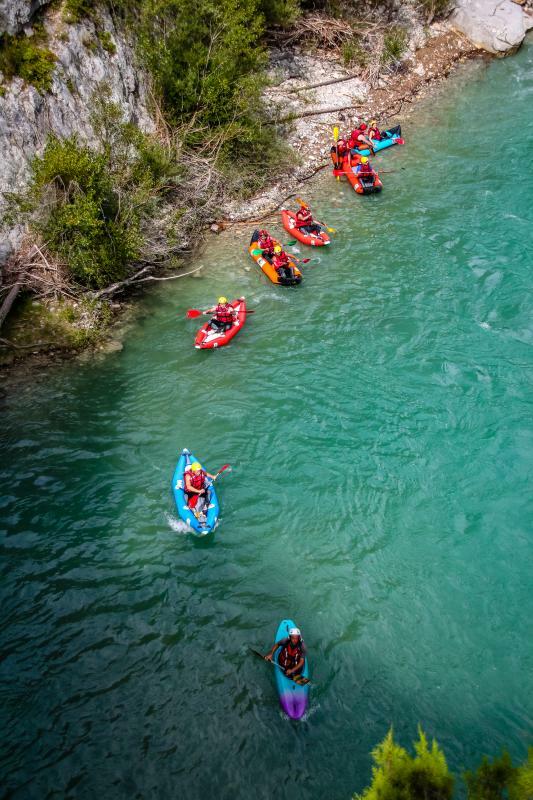 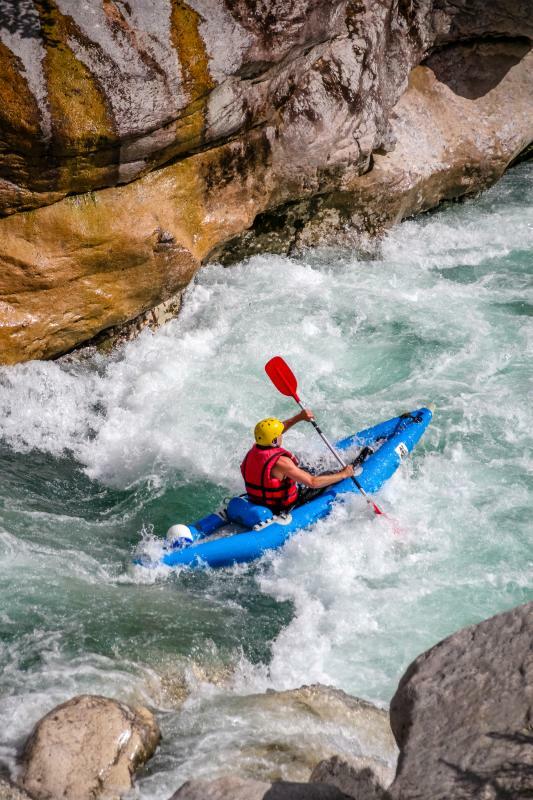 25km of navigation between Castellane and the entrance of the Grand Canyon, alternating between fast rapids and quieter sections that allow you to rest your arms and take in the beautiful scenery. 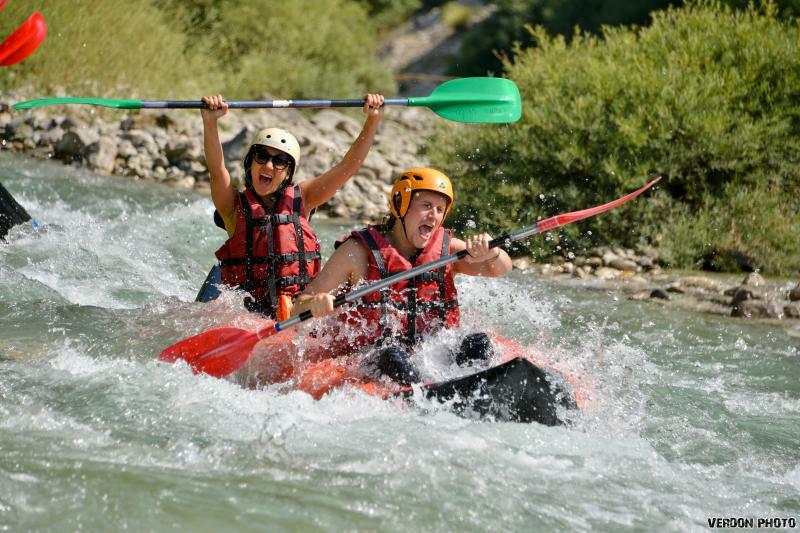 This whole-day trip is quite physically demanding. 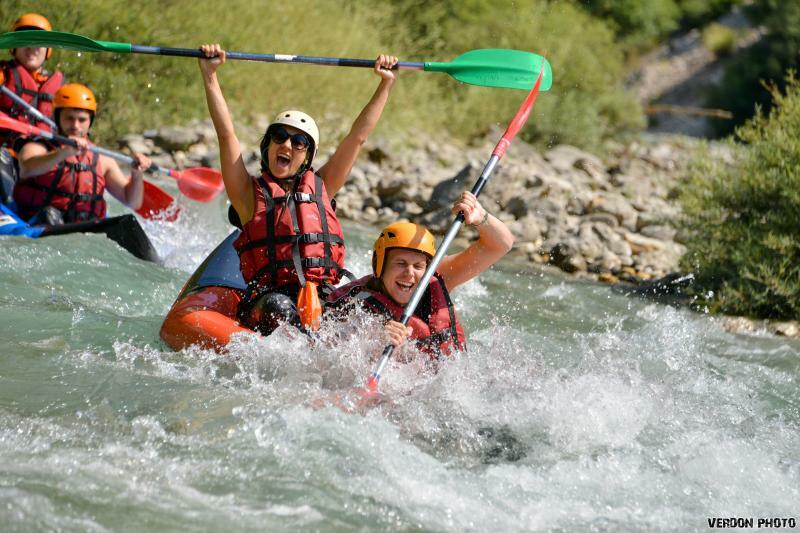 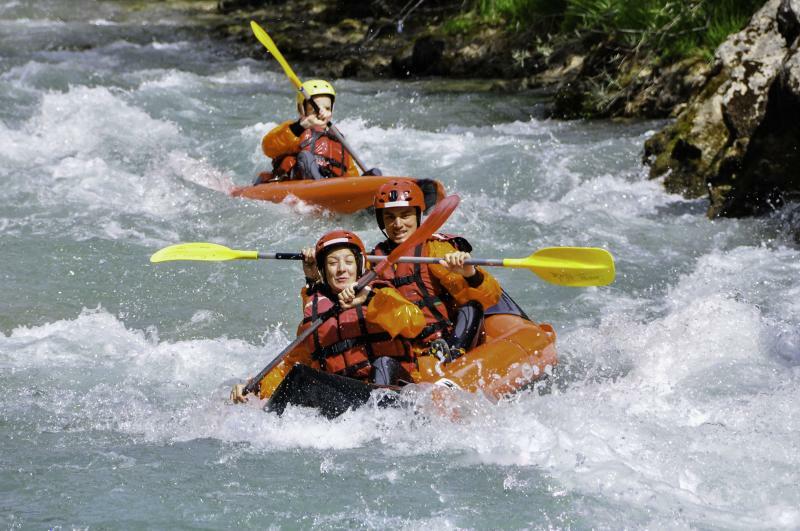 As this activity is a bit more technical and challenging than rafting, we recommend having some prior canoeing (two-seater) or kayaking (solo) experience… or that you are a confident swimmer…! 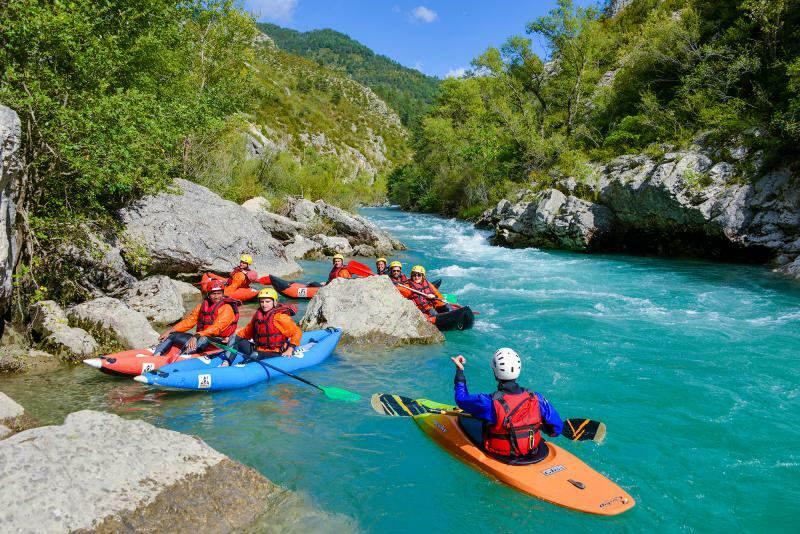 For all canoeing and kayaking activities starting from Castellane, the EDF dams MUST be open.